Rachel was born and raised in Naples, FL in a big tennis family, as both her parents played professionally. Although she grew up around tennis and taught some in high school, she focused on volleyball and track all through middle and high school and was president of the women’s club volleyball team at her alma mater Elon University in North Carolina where she studied Business Management. 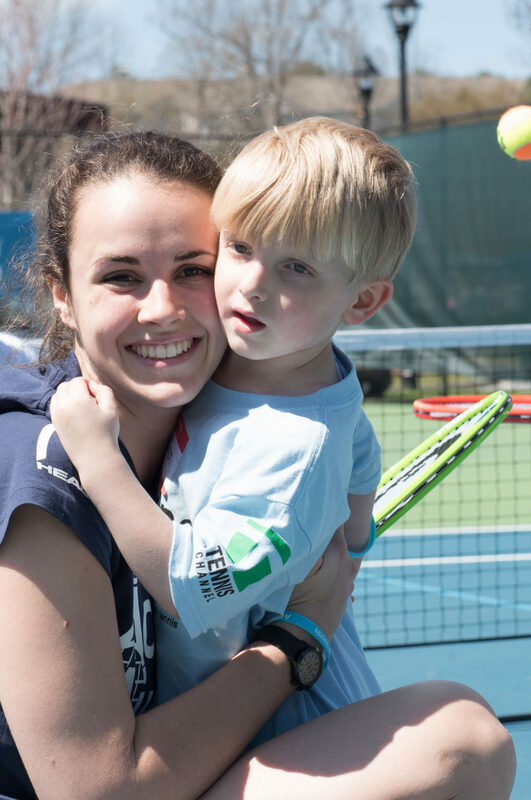 During post-grad life in Atlanta she was introduced to ACEing Autism at a USTA event her mom was emceeing, quickly fell in love with the organization, and ended up taking over the Atlanta program. After two seasons with the Atlanta program, Rachel got engaged and followed her fiance Kavi to Columbus, Ohio where she is in the process of starting a program in conjunction with Ohio State. Off the court, Rachel is a project assistant in the water division for Smoot Construction. Rachel’s goal for the program is to create an environment of inclusion and warmth while improving the kids’ social and motor skills and behaviors, while making sure parents and other family members are involved and comfortable.